Greenleaf Room Spray 6 Oz. Box of 4 - Spa Springs by Greenleaf at Oxygen Salon and Spa. MPN: 4338901940. Hurry! Limited time offer. Offer valid only while supplies last. Greenleaf Room Spray 6 Oz. Box of 4 - Spa Springs needs just a quick shake and a gentle spray to simply diffuse the air with a pleasant fragrance. Greenleaf Room Spray 6 Oz. 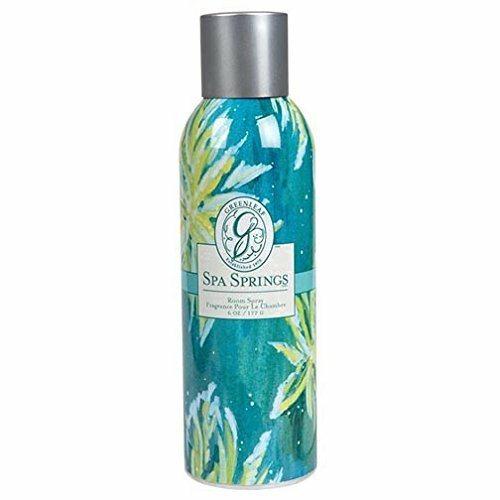 Box of 4 - Spa Springs needs just a quick shake and a gentle spray to simply diffuse the air with a pleasant fragrance. Aquatic notes are brightened with bergamot and green tangerine and balanced with musk and amber in a refreshing blend. Price includes 4 room sprays. Price includes 4 room sprays. If you have any questions about this product by Greenleaf, contact us by completing and submitting the form below. If you are looking for a specif part number, please include it with your message.